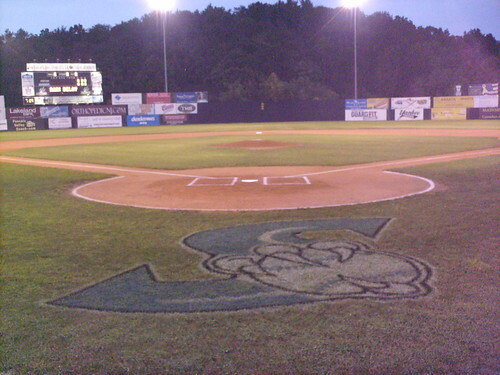 The view from behind home plate at Skylands Stadium. 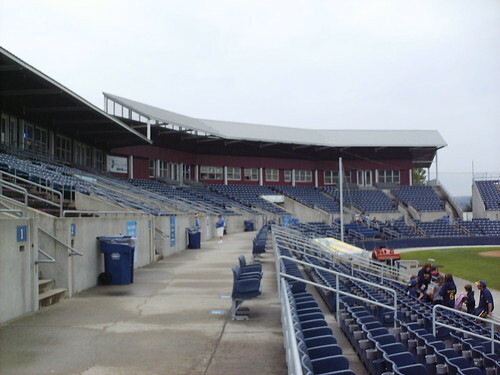 The grandstand at Skylands Stadium. 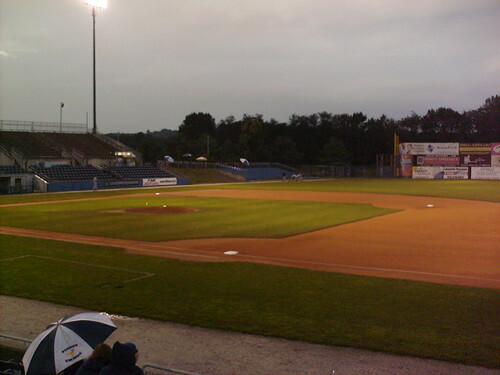 It features one roof style over the first base seats, a different style over the press box, and no roof over the bleachers on the third base side. 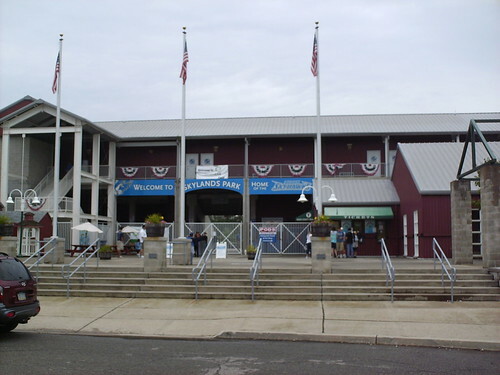 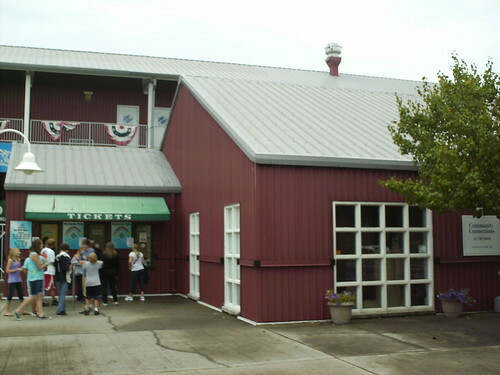 The stadium buildings are meant to resemble farm buildings, to blend in with the northern NJ farmland that surrounds it. 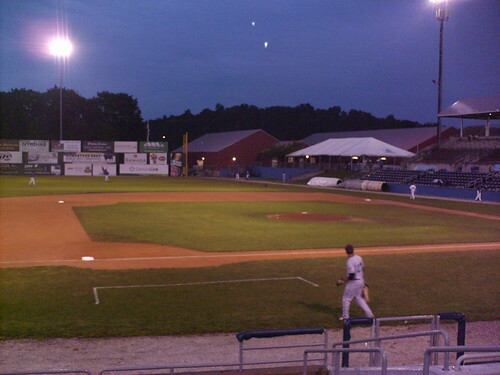 The view from down the third base line at Skylands Stadium.